I’ve seen an influx of people with children ordering subscription boxes; pregnant, those with infants, toddlers, elementary aged children. I just don’t get it, and I think it feeds what will likely become a sense of entitlement when children get older. I was raised where gifts or presents were treats, enjoyed on special occasions such as birthdays and Christmas. I’m in shock each Christmas when people post pictures of their Christmas trees, with their children’s presents overflowing halfway into their family room. And when did Valentine’s Day, St. Patrick’s Day, and Easter become second, third, and fourth Christmases? Like Christmastime, my Facebook feed is filled with photos of Easter baskets, overfilled with dvds, video games, Barbie dolls — what!? I don’t get it. I have friends and family members who have showered their kiddos with tons and tons of toys and gifts, and it always, repeat always, ends up the same way: the kids have more toys, more stuff than they can possibly appreciate. This past Christmas, I asked family members to gift a savings bond, if they really felt that they needed to buy Declan a gift, as he really just didn’t need anything (let alone more toys for him to ignore). I’ve seen some of the aforementioned kiddos treat their overabundance of toys without any regard or value, often tossing them aside, breaking them, and generally just not appreciating what they have because they have more toys, more stuff than they will ever need. I don’t mean to say that we’re perfect in that regard, by any means. I feel we’re fighting a constant battle with toys, many handed-down, but others purchased in an attempt to generate or cultivate Declan’s interest in toys. What has happened is that we have a lot of toys that Declan could care less about, and we should probably donate them to purge. Back to the subscriptions boxes, which were the reason why I got on my soapbox to begin with. My Facebook feed is now jam-packed with ads for subscription boxes, and there are two reasons why I won’t be subscribing: we don’t need stuff sent to us on a monthly basis (we have enough stuff), and my kiddo doesn’t need to receive presents on a monthly basis, because gifts will lose their value as a result. I think that there is real value in saying “no” to our children, and a great lesson in teaching children to save their money to purchase something they really, really want. I was 7 years old the first time I put an item on layaway. I can still remember that doll (it was a boy doll, similar to My Buddy, and cost around $30) and how much I cherished that toy because I had saved in order to purchase it. My second major purchase was my Nintendo, paid for with paper route money. Do you see what I’m getting at? I want my children to appreciate the toys that they have, to remember them and value them, which is difficult for kids to do when things are so readily and abundantly given to them. If a child has 15 Barbie dolls, will any of them be a special toy? Maybe, but I don’t think so. So, subscription box companies can continue to pay Facebook to pepper my newsfeed with their advertisements, but I won’t bite. For further reading, CTPost.com has a great article about the value of saying “no”, and New Yorker features an article about parenting books touching upon the idea of “spoiled rotten” children. What are your thoughts? Is our generation spoiling our kids and turning them into narcissists with strong senses of entitlement? Ah, this is wonderful! I completely agree with your stance on not bringing in extra stuff and spoiling our children. I currently have one subscription box that sends me toddler toys/items but I don’t have children yet. Odd, yes, but my thinking is that I want to build a small stash of high quality non-toxic playthings for my kids before they are born, so I don’t have to spend much money later on such things, and to teach them minimalism from birth. I know I will get toys as gifts, but I am picky about the kinds of materials I want in my home and I would rather have good stuff than whatever cheap/toxic toy someone gives us. (those items will not stay in my house!) I plan on only doing the subscription box for 6 months, giving me a good stock of toys and a sense of being prepared. But that’s just me! Thank you 🙂 Not odd at all – I’m a planner myself! I love this. I actually recently canceled my (email) subscription to subscriptionboxes.com for exactly the same reason. 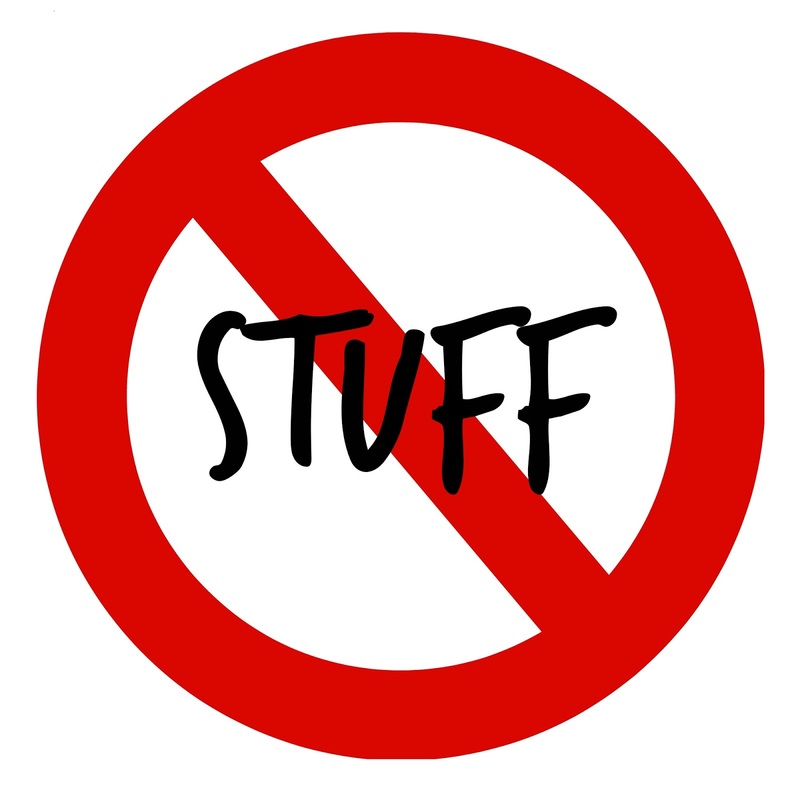 We don’t need more stuff, and I don’t need to be told to *want* more stuff. It’s a hard war to fight as we’ve found out this past year. People love to gift my daughter things and they just simply don’t seem to understand that she doesn’t need more toys. She’s 10 months old and at this age is happier with dirt than anything sitting in her area of our living room. Oy with the gifts already! My favorite subscription box is https://lovewithfood.com its snacks (mostly healthy) and the kids think it’s fun to try new foods. We get the $10 subscription; every month when the box comes in the mail I have to hold back from opening it until the kids come home! We all open it together and try a different snack each day until they are all gone. We love it! It’s a great alternative to the toys/”stuff” subscriptions. This type of subscription box I can understand and would probably enjoy because it’s a consumable. There are a lot of great natural food sub boxes out there!